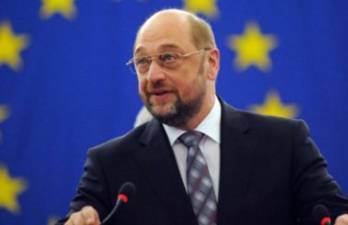 EP will immediately proceed with visa free regime for Ukraine after relevant proposal made by EC – Schulz « News.Kyiv.Me. President of the European Parliament Martin Schulz has assured that the European Parliament (EP) is ready to consider the issue of a visa free regime with Ukraine after Kyiv adopts all the necessary laws and the European Commission (EC) makes a relevant proposal. “We expect a proposal from the European Commission as for a visa free regime after the Ukrainian parliament passes all the decisions. We are waiting for proposals from the European Commission and the European Parliament will immediately start its part of the work,” he told reporters after talks with President of Ukraine Petro Poroshenko in Munich on Saturday. The president of Ukraine, in turn, noted he has submitted the remaining bills to the parliament. “Yesterday I filed the last package of bills for a visa free regime and I hope they will be adopted in parliament next week,” Poroshenko said.